You gotta loves those comfy knit sweaters, but sometimes they just don’t last forever. This project was pretty plain and simple: Hole in the armpit. Reweave. All better! 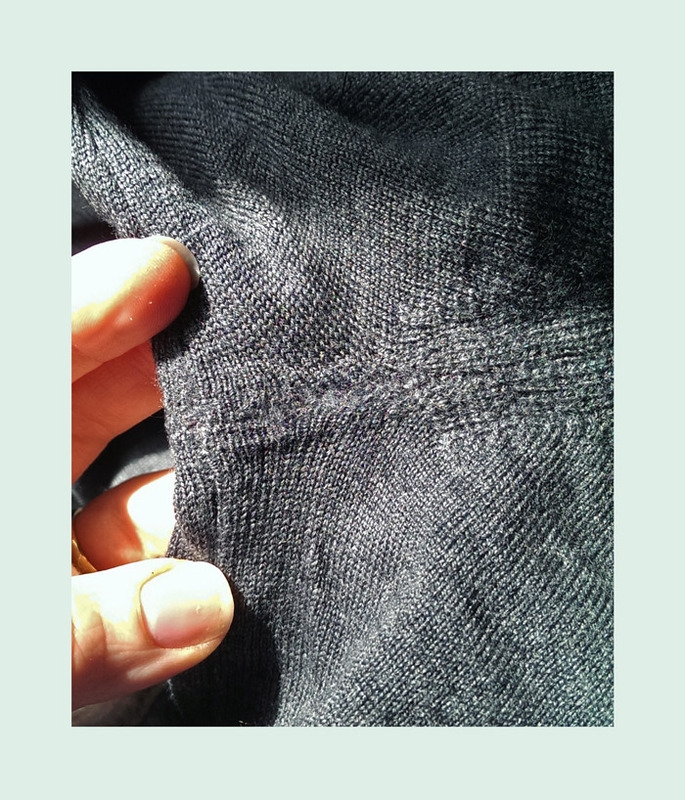 Do you have a garment with holes or rips that needs to be rewoven? First, get it cleaned! If there is even a slight chance that it could be a moth hole, catch it before they claim other things in your closet. Clean anything you find with holes immediately, and inspect items hanging near the problem garment as well as other items in the same closet.